Learn to install one the most widely used engines to develop games and AR and VR applications. Unity is one the most widely used gaming engines, and it is used to develop games for all platforms, as well as also for AR & VR development. There are other gaming engines in the market, such as Unreal, CryEngine, and Torque3D, but that's for later. 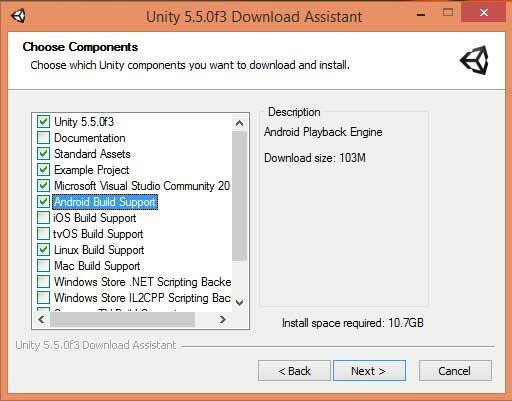 By the end of this post, you will install Unity and be ready to work in the Unity environment. You will also learn to build a basic VR app using pre-built assets in the next post. 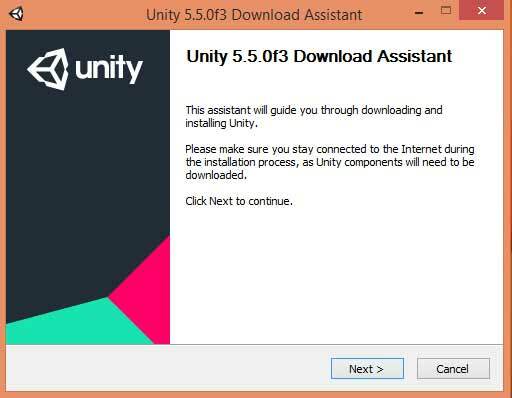 Unity 5.5 is the latest edition of the software for now. In Unity 5.5, support for Microsoft Holographic (HoloLens) is no longer in preview mode. And that means you can jump into exploring the future of augmented and mixed reality. To install Unity, download the Unity installer. Browse the Unity website to get a feel for it. You can see all the documentation and tutorials provided mainly for game development. But don't be intimidated by all of that. We will be learning Unity slowly. So, once you have downloaded Unity, open the downloaded file. Click next and accept all the terms and conditions until you reach this screen on the installer. You can see all the features that you can install in Unity. There is documentation, example projects, the SDK itself, and support. Important Point: You should make sure that you check the Android Build Support (if you are using Android) option or the iOS Build Support (if you are developing for iOS) oprion. We will stick to mobile development for now. But you can surely install other build support if you have the patience to wait for extra build feature to install, or if you have excellent internet. You can check the size of each feature in the right-hand window. 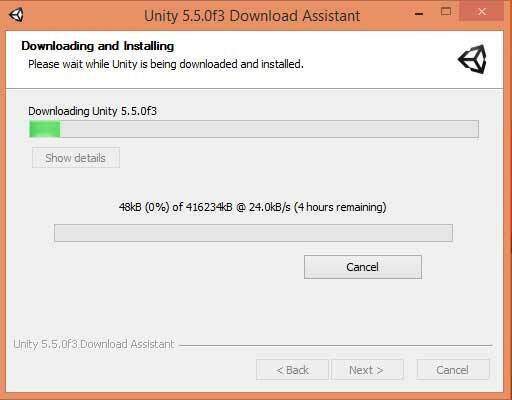 So, finally accept few more terms and conditions, and it will finally start downloading and installing Unity. You now have Unity installed. Go ahead, make yourself comfortable with the editor. Next, I will guide you through some basic controls for Unity. When you deploy your Unity project onto your Android phone(s), Unity will require the Android SDK. It will prompt you for the SDK folder in your machine. You can download the Android SDK from the official site. Keep following me for more easy tutorials on augmented reality or virtual reality. You can also connect with me on our online channel in Slack to get more guidance. Check out DIY Hacking's AR and VR learning path to become an expert.